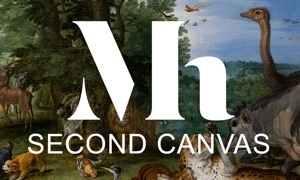 Second Canvas Thyssen Málaga app is your tool for exploring the Museo Carmen Thyssen Málaga collection in super high resolution, like never before. For smartphones and tablets, in Spanish and English. Second Canvas Thyssen Málaga invites you to discover the hidden details of the Museum’s highlights in super-high resolution and with the best quality. Explore, interact and learn from stories told by experts and share your experiences with your friends on social media. Zurbarán, Madrazo, Fortuny and Sorolla are some of the masters that you can enjoy in this app. Created by the Museo Carmen Thyssen Málaga and Madpixel. • Super zoom for exploring all the details with the best quality thanks to the gigapixel resolution format of the images. • Discover amazing details and stories of these masterpieces step by step under the guidance of museum experts. Learn about the characters, symbolism, technique or the artist’s signature. • Share your own stories on social media with your selected details in super high resolution. • Download the details and the related stories so you can also view them offline. • New content will be added to enlarge your experience: more artworks, audiotours, videos, conferences, etc. • Available in Spanish and English.